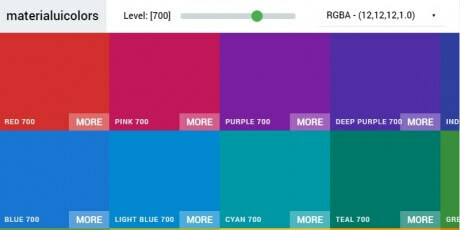 A list for creating, interacting with and editing color palettes. 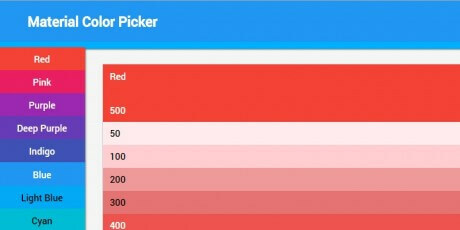 An online color picker tool that generates a gradient/scale association based on a root color in hex code or by using the sliders in its interface. 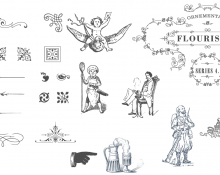 This resource can be downloaded and deployed as a tool for your own projects. Created by GitHub user Hayk An (hihayk). 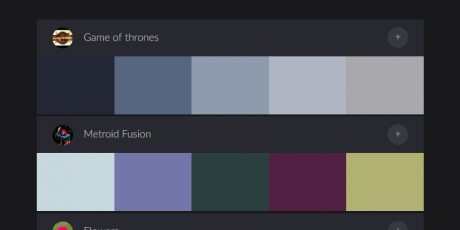 A cool color palette with handpicked gradients hue and swatches. 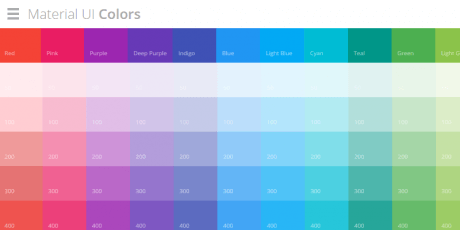 It has 60 coolest CSS gradients that you can copy and personalize as per as your taste. CoolHue gradients palette is rendered by JSON which makes it very easy to make a subtle update anytime, also available in .grd and .Sketch file formats. Created by Webkul on Github. 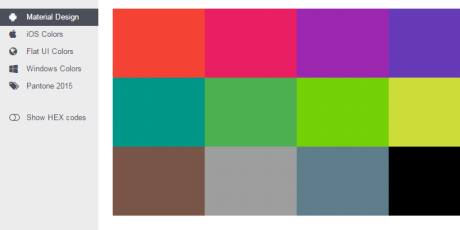 A neat free online tool by threebu that allows you to create random three-color material design palettes just with a click. 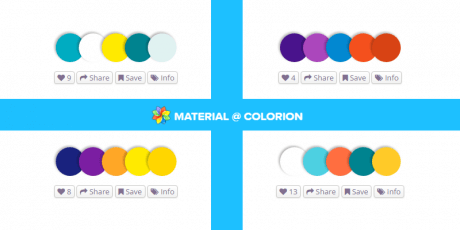 Watch your palette in multiple templates, share or download your favorite palette. Features text previews as well circular solid fill, vertical stripes and Card templates. 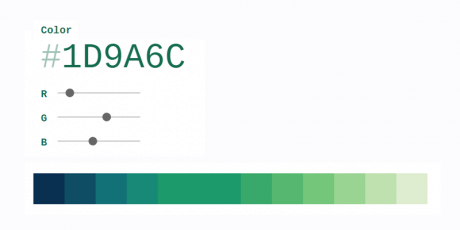 An interactive tool to create, share, and apply color palettes to your UI, as well as measure the accessibility level of any color combination. This useful online library is a collection of color palettes that can be used by hovering the colors, it shows the hex code of the item and by clicking it'll copy the code to the clipboard. 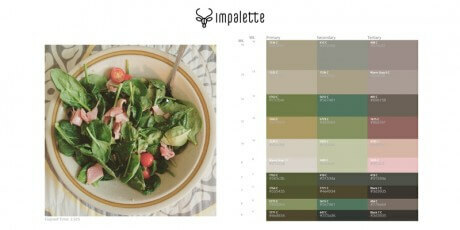 Palettable is an online tool for picking colors that guides you through the process. The interface is really simple: you select a color, and it'll provide the hex value for your use, and if you like that color, it'll give you a second complementary color, and if you like that too, it'll give you more related options until you get a full palette. 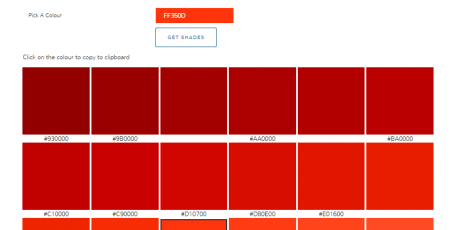 This online tool uses dynamic columns within grid layouts to generate palettes. You can add as many columns as you want, lock them in place, adjust bright, choose a color input method and more features to use in a very intuitive environment. A wonderful tool that showcases the dominant, and its related primary and secondary colors from an image, that can be added via a link in the web or select it on the computer, based on established parameters by the user. 1380 Animal themed icons delivered in 7 different design styles: from the trendy Material or Flat Styles to Iconshock's unique creations. Only $19 for a limited time. 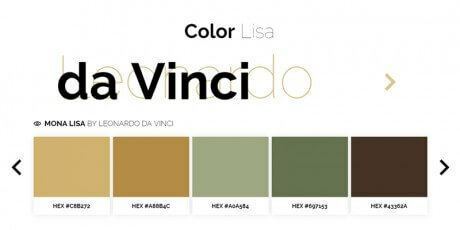 Color Lisa is a site containing a curated list, showcasing color palettes based on masterpieces of the worlds greatest artist, new palettes are permanently added, and all of them created by passionate lovers of color. 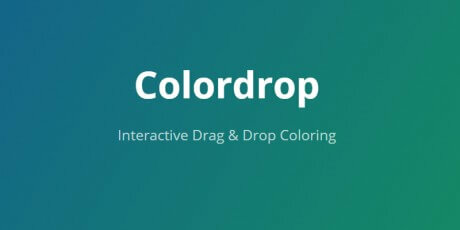 Application to color a website by dragging and dropping a color droplet from a palette. You can install the Chrome extension or use the bookmarklet. 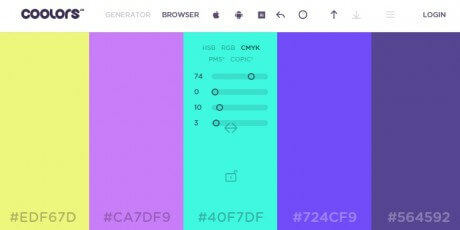 An online generator of color palettes that lets you choose several color specters such as RGB, RGBA or HEX as well as the intensity of the colors. Get today more than 1000 Packages and Boxes Mockup Files in an extensive bundle for only $29 with a 95% limited discounted price of its normal $550 USD. Find different materials and presentations (Box, Paper, Metal, Plastic and Bottle) and hundreds of possible matches and finishes for your packages. 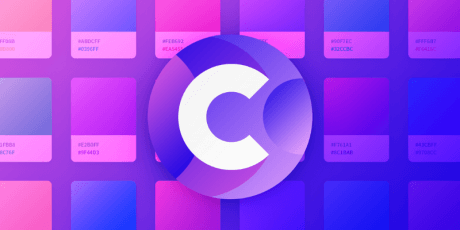 Coolors is an online color scheme generator that allows you starting with a randomized scheme and customize each individual in position and several specter values. 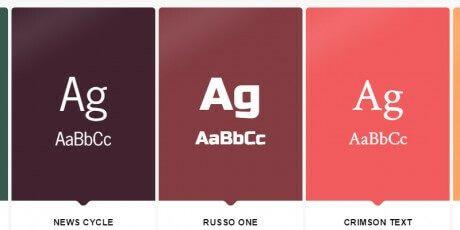 An online collection of several color palette tools, trending sets, and generators that will give you a hand when designing time comes up. In this collection, you will find stacks of famous brands color schemes, iOS7 colors, Adobe Color CC, among other highly useful tools and sets. 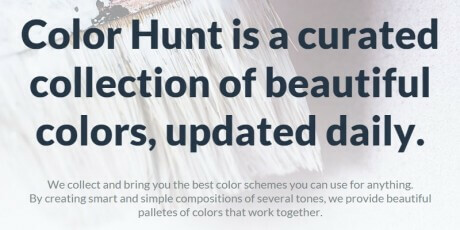 Color Hunt is a crowd sourced curated collection of 4-color scheme sets that can be sorted out by date and popularity. You can also create new scheme sets that will be reviewed by the curators. 131 unique high-resolution mockup, based on real images and also including smart objects feature to get photo-realistic effects. Normally this bundle could be priced up to $380, get it only $14! Limited-time promo. 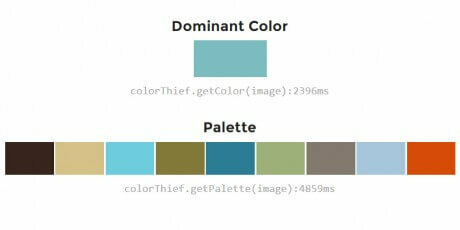 A beautiful online tool for generating a color palette to include Material colors into your designs. 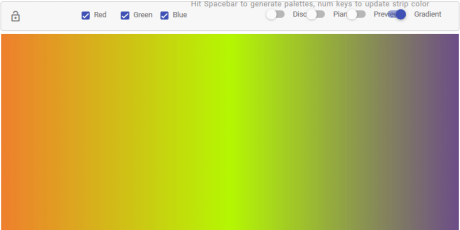 The tool lets you select two colors and based on them, it generates the color palette. After that, you just download it and use it on your designs. 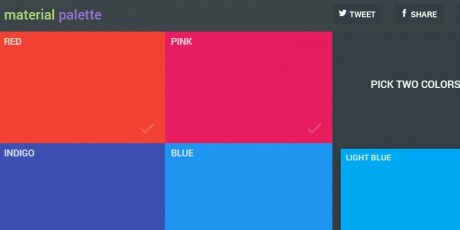 An online tool for selecting the main colors used in Material design. 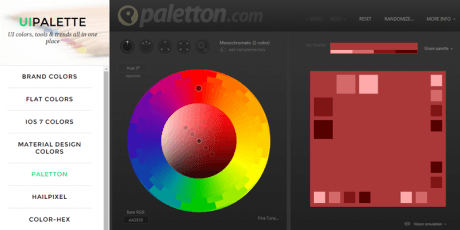 It is really simple for composing color palettes, in which you just select the color and it provides additional options. Then, add them by copying the HEX value. An online shadow generator in which you just select the hex color and it throws several shadings for that specific color. 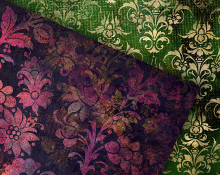 This tool is great for selecting similar colors for any kind of design. The tool gives you the HEX values so you can use them easily. You can use it for free. 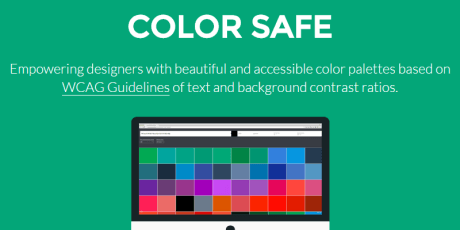 A tool that allows designers to take advantage of accessible color palettes based on WCAG Guidelines. To use it, select the background color, font family, font size, font weight, and the WCAG Standard. Then pick a color to set the text color. You can preview text color in the upper toolbar by clicking a box, and select the Hex or RGB value in the toolbar to copy to your clipboard. 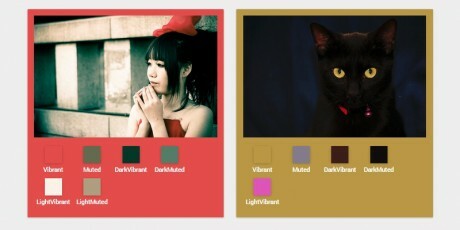 Tint UI is an online tool for selecting colors and copy them in hexadecimal codes. It simplifies the work of designers by giving them suggestions on colors from iOS, Android, Flat UI, Windows and Pantone 2015. It was created by João Piedade. 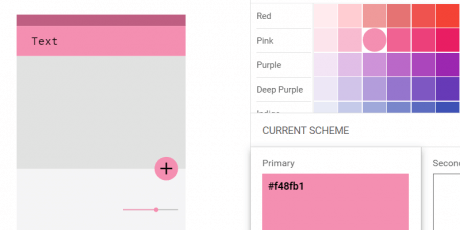 A plugin for Sketch that helps you select the colors on the Google Material Design palette. To use it, you just need to go to Menu - Plugins - Material Design, select the color and the palette will appear. This is a free plugin and can be downloaded from GitHub. An online tool that allows you to select the colors you need and then it compresses into swatches to be used with Photoshop and Illustrator. The colors are also copied to the clipboard. An online color picker that allows you selecting the color main colors of the logos of different brands all over the world. 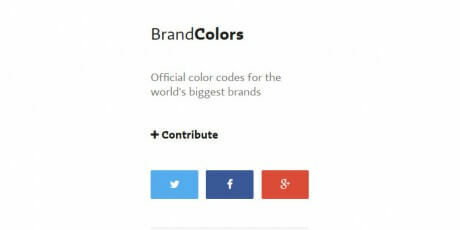 You just type in the name of the brand, and then select the hexadecimal value for the color or colors. 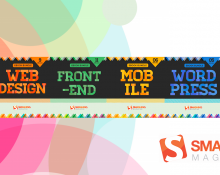 This tool is very useful in web design by the time of creating mockups, and UI kits, among many others. 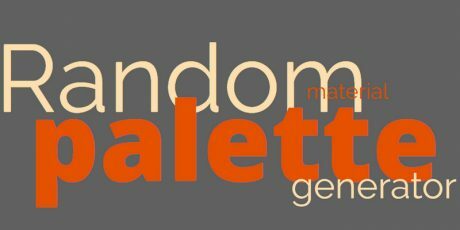 Palettab is a free extension for Google Chrome that allows you to select colors from any new tab, showing you how can it be matched with a random typeface, usually web font, so you can use it as inspiration for your next design. The web font's name appears at the bottom, so you can easily recognize it and use it. This is an interesting tool for managing color. 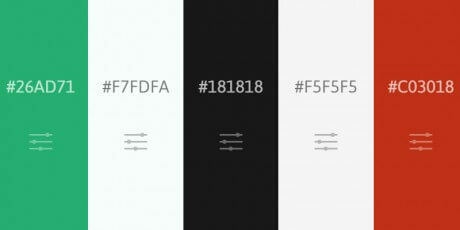 It works just by adding the 6 digit hexadecimal value for a color and it will give you similar ranges. 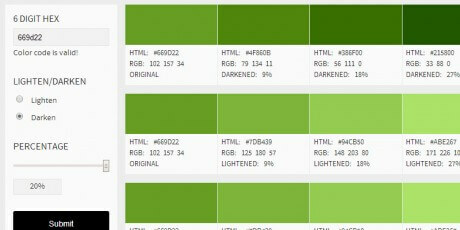 You can also lighten or darken the ranges, and apply other options to get the best variation and apply it to your website.